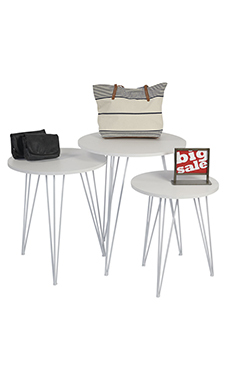 The Round Nesting White Tables with Tripod Legs are sold in sets of 3. 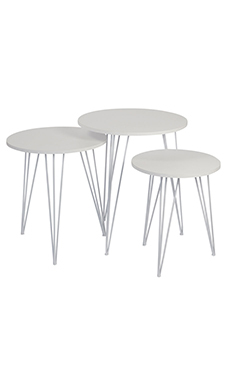 These tables feature a melamine top with tripod metal legs. 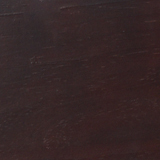 The small table measures, 18" Diameter x 21¾"H, the medium table measures 21" Diameter x 24¾"H, and the large table measures 24" Diameter x 27¾"H. Assembly required.